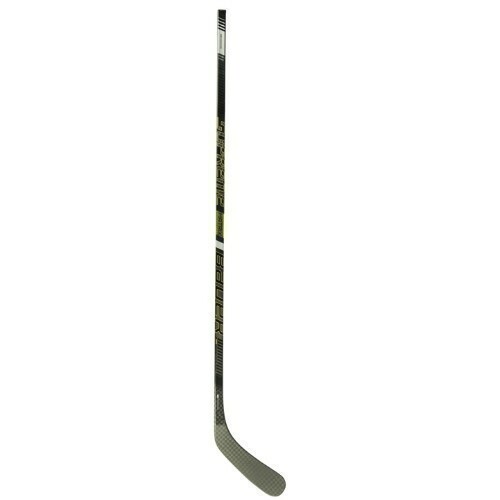 Give your shot some extra power with the Strauss Exclusive Bauer Supreme Matrix Junior Hockey Stick. Featuring 12K blade construction and Powersense 2 Blade Core, the blade of the Bauer Supreme Matrix stick is stiffer, limiting torsion in the blade for a more accurate shot. The Bauer Supreme Matrix hockey stick includes Source Exclusive upgrades such as the Tac-Spiral grip for greater stick control and a chrome graphic for a sleek look. For a stick that delivers excellent performance and head-turning looks, check out the Strauss Exclusive Bauer Supreme Matrix hockey stick.